so they can create amazing experiences for students. 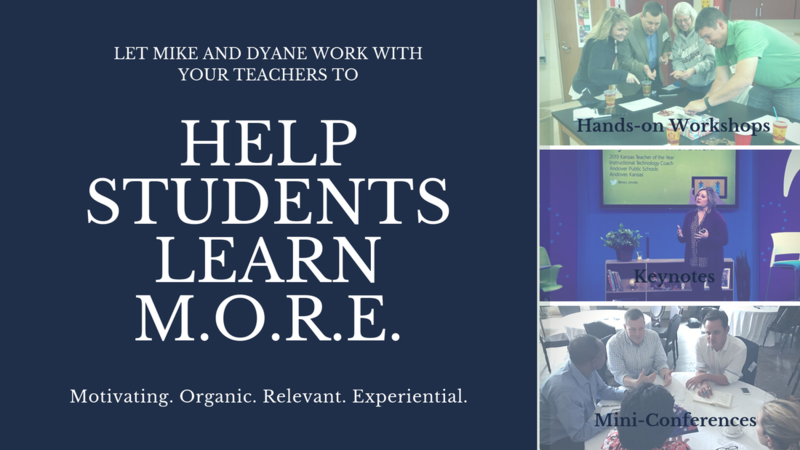 Are you looking for inspiring and engaging professionally learning that will help teachers create learning experiences for students that make the curriculum relevant? Dyane and Mike are internationally renowned for their dynamic keynote talks, workshops, and presentations. We don't just leave our audiences as better teachers. We help them remember the joy and passion that led them to choose teaching in the first place. We are available to present together, individually, or we can create a learning experience for your teachers with multiple topics and engaging presenters.